Elliot Muscant has landed the top job at Dentsu Aegis Network North in a senior management reshuffle. Muscant, who was previously managing partner, takes on the role of chief executive officer overseeing the company's offices in Manchester, Edinburgh, Leeds and Newcastle and a total of 550 staff within its agency brands Carat, iProspect, Vizeum, Amplifi, Amnet and Fetch. He will be supported by Tony Blease, chief commercial officer and John Mathieson, chief operating officer. Pete Cooper, who joins the agency in January 2017, will take on the position of chief client officer. Dave Lucas, who along with Andy Jeal founded the business in 1994, will be moving into the role of chairman of Dentsu Aegis Network North. Jeal left the business in February. The company says that after "sustained success and growth" it is "aligning its leadership to ensure it is positioned to continue to deliver outstanding experience and results for its clients". 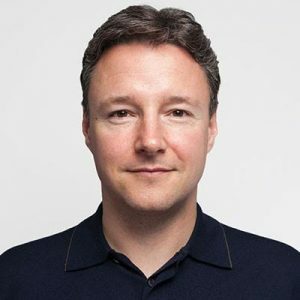 Muscant, who started in the business as a graduate trainee, joined MediaVest Manchester in 2000 (the largest media independent in the UK at the time) and rose to become the head of MediaVest’s digital division, MVi, and then MD of MediaVest and Carat Manchester. There have also been changes to the business’ leadership teams in Leeds and Edinburgh. In Leeds, Kevin Cunningham becomes co-managing partner with Dominic Geary, with Annette Armitage assuming the new role of chair, Dentsu Aegis Network Leeds. 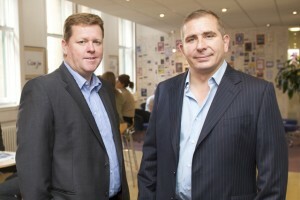 In Edinburgh, Richard Gill becomes co-managing partner with David Crawley. Dentsu is the third largest media agency group in the world, with global billings of $55.5bn in 2014.